GIVE PEOPLE GOD’S GREATEST GIFT – HIS GOSPEL! Friendship Dinners are conducted where key political leaders, mayors, governors, prime ministers, presidents, military commanders, and religious leaders are reached. This brings maximum effect as Pastor Peter shares the Gospel and answers questions from national leaders. 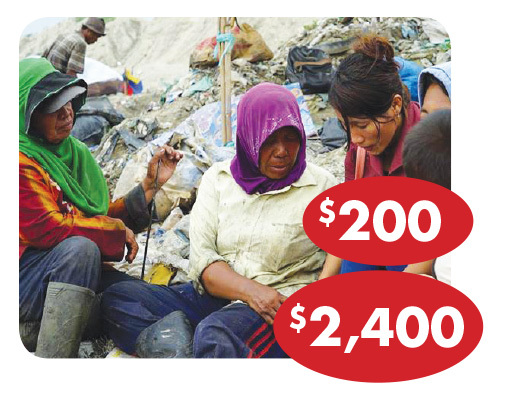 • Your gift of $32 will reach 2 world leaders. 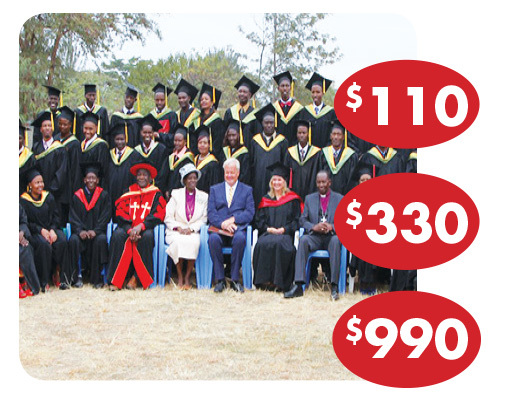 • Your gift of $160 will reach 10 world leaders. Gospel Revolution Seminars are intense 3-day programs. Over 374,000 pastors and leaders have been trained already. Often the pastors have not had the opportunity to attend formal schooling, and they are desperately in need of equipping for ministry. 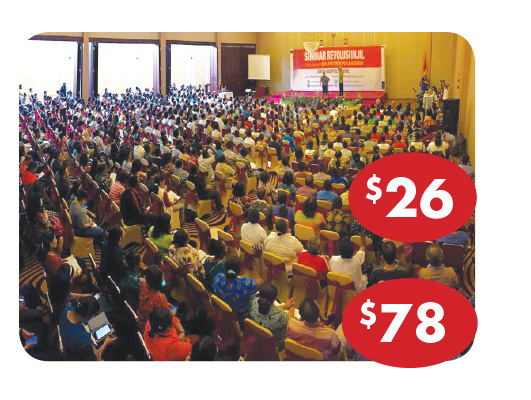 • Your gift of $26 will provide one local pastor with a life changing opportunity to attend a Gospel Revolution Pastor’s Seminar or give $78 to sponsor 3 pastors. 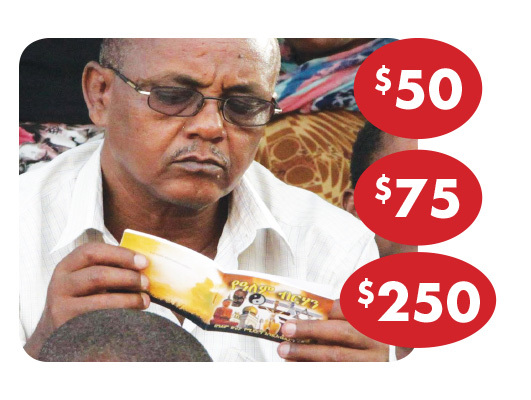 WIM has given out more than 17 million follow-up booklets to new believers. Often these booklets are taken hundreds of miles away, where they are shared with an entire village. 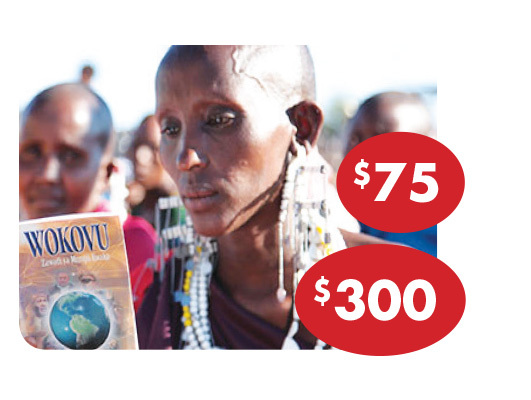 • With your gift of $75, 300 new believers will receive a salvation booklet or give $300 to bless 1200 new believers. Help prepare the next generation to be equipped to advance the Gospel. 250 partners are needed to give $500 each to finish this study center. Your gift will be legacy to the next generation. • With your gift of $500, your name will be placed on the Wall of Victory. World Impact Bible Institute empowers and equips students. Your support of a student in Indonesia or Africa will provide an opportunity to learn and develop their God-given potential. Many come from areas where they have little or no financial means. Your support includes training, food and accommodations. Once students graduate from the World Impact Bible Institute, many have the opportunity to spend time on the mission field. Your giving will make this possible. • $200 will sponsor an international missionary for one month. • $2,400 will sponsor an international missionary for one year. In many countries, we send buses to areas outside the main city areas that are populated by non-Christians; Buddhists, Hindus, and Muslims. Typically, each bus transports 50 people and 90% or more end up receiving Christ! 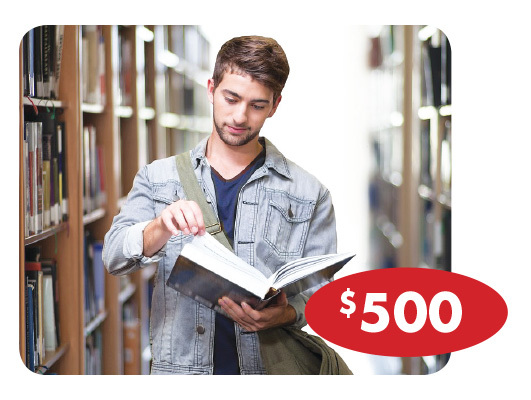 • $70 will pay for a bus for one night. 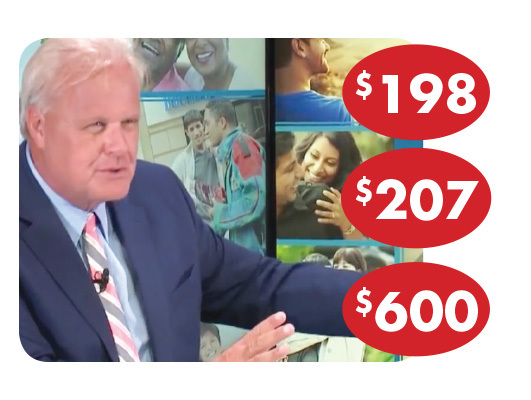 • $350 will provide a bus for an entire week. There is much time, work, and advertising that makes a festival happen. Without proper advertising such as handbills, billboards, posters, and speaker cars, people will not know about the festival. • Your gift of $125 sponsors 100 people to be reached. The Enlightenment tract has been given out to over 542,000 people this year. With topics such as God's love, forgiveness, why Jesus died, and eternal life. This tract will help reach people with the Gospel! "You Are Loved" now airs in India, the Middle East, and Indonesia; a great way to use multi-media to reach people. 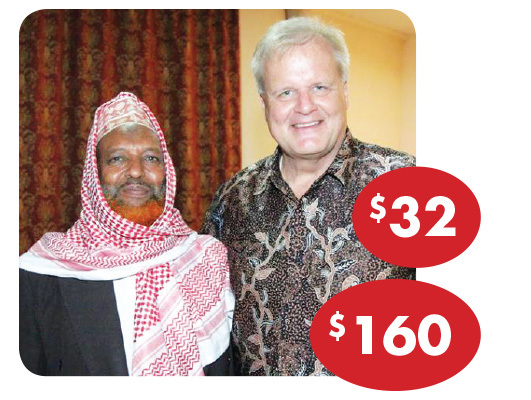 • With your gift of $198, you can sponsor a program in the Middle East. • With your gift of $207, you can sponsor a program in India.